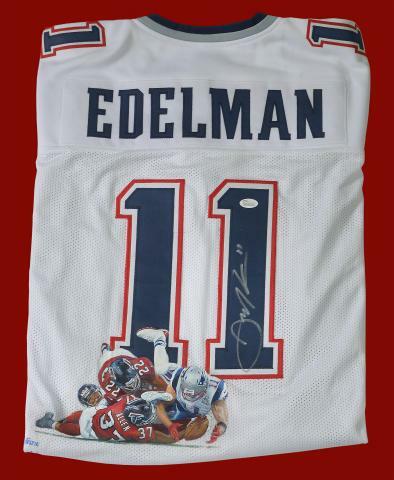 This spectacular Julian Edelman custom Patriots jersey is a one of a kind work of art! 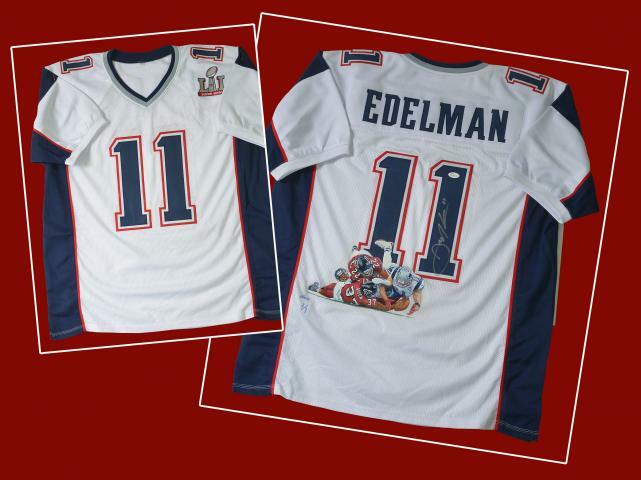 The jersey features a hand painted image by renowned sports artist Jolene Jessie. The image depicts Edelman's heroic catch in the 4th quarter of Super Bowl LI which lead to the Patriots' game tying drive. The catch cemented the greatest comeback in Super Bowl history and lead the Patriots to their 5th Super Bowl Championship. 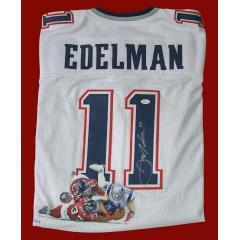 The jersey comes signed by Julian Edelman and his signature comes with full authentication from JSA. 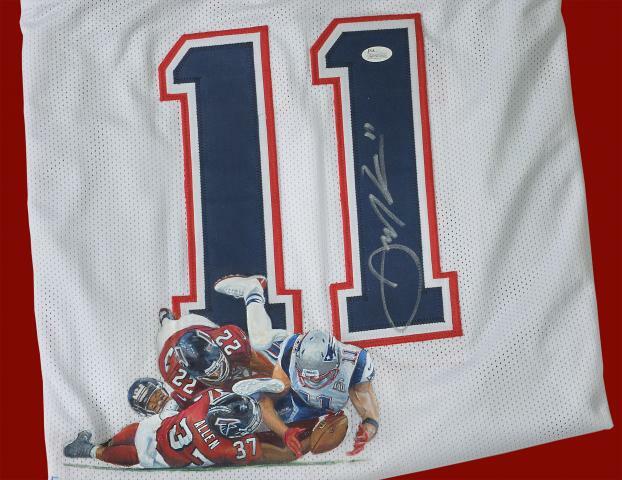 The jersey also comes signed by the artist at the bottom of the image. 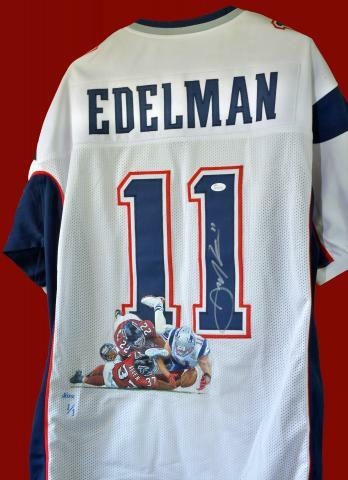 Julian Edelman Signed & Hand Painted Jersey $1,895.00 Sold Out!